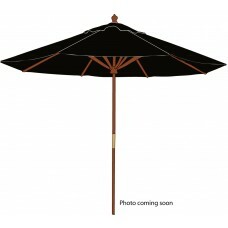 Café Umbrellas are designed to meet the unique needs of commercial operations such as restaurants, beer gardens and resorts. Here at Umbrella Planet we specialise in personalising these statement products by printing your logo directly onto the canopy panels. Once customised with your design, these outdoor umbrellas will be ready for use at your business or trade show. 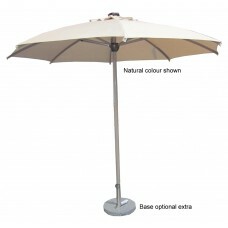 Our café umbrellas are constructed to withstand daily outdoor use so you can utilise them with confidence. 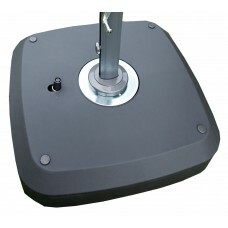 These premium pieces of furniture can be affixed to bases (sold separately) using their sturdy stems. Lightweight and versatile, the best part about our café umbrellas is that we can produce them featuring custom prints of your logo any time of the year! Proudly Australian owned and operated, the team at Umbrella Planet know it's important to get your outdoor umbrellas delivered promptly. That's why our standard turnaround time for custom café umbrella orders is two weeks from your order and payment. 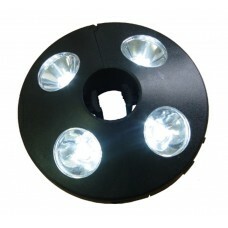 Prepare for your next outdoor event with durable outdoor umbrellas featuring your custom design. Our eatery umbrellas feature gorgeous treated canvas and polyester panels that are ultra lightweight and perfect for adding both shade and atmosphere to any outdoor location. We brand each umbrella with your restaurant, cafe or corporate event design. Our outdoor marquees have a 5-year fade guarantee to you can be confident that they're built to resist that blazing Aussie sun. 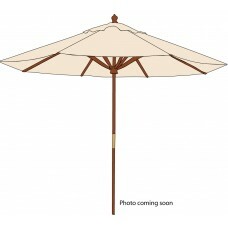 Cafe umbrellas aren't complete without stylish bases to support them. 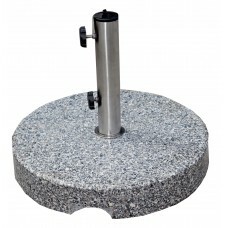 Our bases are perfectly weighted to ensure your outdoor umbrellas won't lift, fall or get blown over in the wind. They're also attractive - stainless steel fittings keep everything in place while the granite body is luxurious as well as functional. Pair our bases with your favourite canvas umbrella and tie them both together with your unique branding. From the powdercoated stainless steel fittings right through to either a metal or wooden stem, the cafe umbrella frames at Umbrella Planet are second to none. Whether it's our modern aluminium or traditional treated wooden poles, each is made from the highest quality material to give you an umbrella that stays strong from top to base without ever compromising on style.